Extra material covered on the two day course includes load types and weight management, towing trailers, loading and riding for dynamic stability, and prevention of loads shifting. 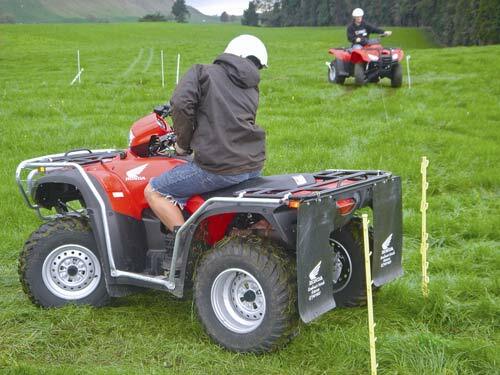 RiderQual its partnered with Vertical Horizonz New Zealand, a registered Private Training Establishment with NZQA who provide our unit standards based training. Visit Vertical Horizonz New Zealand website here to find out more or book direct with us. A post-course report will raise concerns on any individual requiring special on-going tuition / guidance to reach a safe minimal operating level. VHNZ will work with anyone requiring on-going training or experience prior to reaching a competent level. Begins with group discussions based on learner guide subject matter preceding practical riding skills training and experience, culminating in practical assessment. Where time allows the completed written assessments are marked during the day, thus allowing the assessor to collect further evidence of knowledge if required to ensure competency. Day one consists of group discussions based on learner guide subject matter preceding practical riding skills training and experience. Day two begins with an open book written assessment. Once this is completed the trainee can move onto the practical assessment stage. Extra time is allocated to working with loads and a trailer.